"When you send your daughter to school -- when you see her off in the morning," said a parent, "you have a level of expectation that you're not going to be worried about them." Unfortunately for one mom in Georgia, there is nothing but worry now. Her daughter, a sweet, innocent five-year-old girl, was pushed up against a bathroom wall and molested -- an act that could have all been prevented, if district officials hadn't let boys in the restroom to begin with. "The night when my daughter explained what happened to her," she said, "I felt devastated. I felt angry. I felt betrayed." And based on the circumstances in City Schools of Decatur, she should have been. 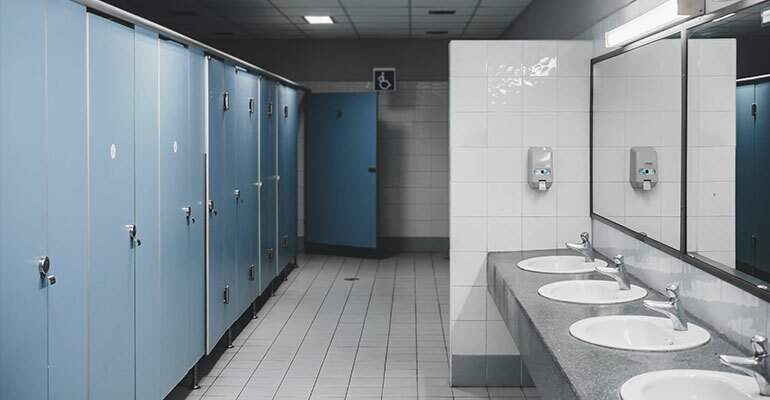 A year and a half earlier, Superintendent David Dude made the quiet decision to change the district's bathroom, locker room, and overnight field trip policy. But instead of telling parents in a letter home or in a public meeting, he posted the change on Facebook in the summer when very few families were paying attention. After one mother noticed it, she called another. And then another. And soon, the news exploded through the district. The uproar over Dude's decision was so unavoidable that the school board agreed to put the issue on its October 2017 agenda. A month later, Pascha's kindergartener was assaulted. Like any parent, she went to school officials expecting help -- or at least sympathy. They offered neither, Alliance Defending Freedom's (ADF) Sarah Kramer explains, and instead filed a report with the Department of Family and Children Services naming the mom as the responsible party. She turned to ADF, who decided that if the Decatur School District won't help, the Justice Department will. Thanks to the DOJ's Office for Civil Rights, government officials are launching an investigation. But unfortunately for Pascha and her daughter, the damage has already been done. Worse, there are still liberals out there who insist that these policies won't do anything to harm women or children. In Massachusetts, the latest ground zero over gender-free restrooms, state house Speaker Robert DeLeo makes the ridiculous claim that there's been no fallout from open-door policies like this one. "Opponents to this common-sense protection routinely and falsely claim that the law could be abused by criminals seeking to harm women and children in public restrooms," he writes. "The facts simply don't support this fiction." Tell that to a five-year-old girl and her mom who will probably be dealing with that experience for the rest of their lives. The threats associated with these politically correct laws aren't something conservatives invented (unlike the Left's latest definition of gender). There are very real patterns of violence, voyeurism, and abuse affecting people of all ages. That's why even Massachusetts, one of the bluest states in the country, had no trouble finding the signatures conservatives needed to put gender politics on the ballot this November! Even they aren't buying the line that this is a harmless movement meant to treat everyone "fairly." Join Massachusetts in a battle that could send transgender activists packing. See what you can do to help by visiting KeepMASafe.org! Tony Perkins' Washington Update is written with the aid of FRC Action senior writers.